Do I need a horse riding body protector? Horse Riding Body Protectors, also known as equestrian protective vests or riding safety vests are a worthwhile investment in your safety, particularly if you are engaged in high impact sports such as cross-country or hunting. They may also be advisable if you are doing groundwork with a young or particularly flighty horse, prone to kick. Horse riding can be a dangerous sport, we have all heard the horror stories and while this website is all about providing you with the knowledge to ride your horse safely, accidents do happen. The basic idea behind them is the protective shell is designed to absorb impact from a fall or kick by a horse. These vests have come along way from the original designs and are now lightweight, come in a range of funky colours and are far more flexible than they use to be. Long gone are the days when protective vests were like being put in a straitjacket, which prevented any free movement and were like being in a sauna. We have tracked down the Top 7 body protectors and 1 beautiful safety vest suitable for all equestrian activities from hacking out to horse racing and found the best prices too. It is necessary to identify the various standards to give you a good idea of what to look for when choosing a body protector. While there are many standards in use across the world the three of note are EN 13158:2009, BETA:2009 and ASTM F2681. All testing is voluntary and this is not to say that non-tested vests may not offer as much protection as the tested and certified versions, but you have a guarantee of a certain level of standard if you go with a certified vest. I have provided an overview of the Standards at the very bottom of this article if you would like to know more about them, if you just want to skip to the good stuff you need to know that Level 1 is the base model and Level 3 offers the highest level of protection. It does seem that the quality and protection offered is equal to the amount you pay when it comes to protective vests. You very much get what you pay for in protective vests. I have tracked down some excellent prices across the internet on the vests featured, all prices have been converted to Australian dollars so you can easily see the price differences, but the vests are available through various outlets around the world. For a Level 3 vest this is one of the best priced vests we could find. Providing the highest level of protection under $300. USG make a good range of well priced body protectors for both adults and children. Meeting both EN:13158-2009 and BETA:2009, both at Level 3, this vest offers the ultimate in protection. And being lightweight to provide added comfort, the Standard testing provides total confidence in your upper body protection. As the name suggests this vest is extremely flexible due to the block structure of the panels which provide the protection. The shock absorbing panels will mould and flex to the shape of the riders body making it not only comfortable but less restrictive than many other Level 3 vests. Due to the composition of the foam used it also molds to the rider as your body heat warms the panels. Coming in a large range of sizes as well as offering adjustments through the shoulder and waist tape closures this ensures the best possible fit and protection. The zippered front makes this an easy on/off vest and the waist tape closures are set and forget once you have them secured how you like it. Whilst the style is perhaps a bit more industrial than the higher priced vests the adjustments provided around the waist reduce the chances of the vest riding up, but can be tightened to provide a snug fit that doesn’t cut you in half. The outer material is polyester making it easy to wipe over and keep clean. Sizing ranges from Adult small at chest size 85-91cm right up to X Large at chest 102-110cm 3 choices in colours the standard black, but also pink and royal blue. This is the best priced Level 3 vest we could find and well worth the money at $250. Many of the Level 1 vests were more expensive than this one. As indicated early on in this blog you really do get what you pay for in the body protector area so if you don’t feel you need Level 3 protection I would be going with the similar priced Level 1 vest as they are lighter and therefore more comfortable, but if you do need Level 3 protection this vest is a great choice. No protective vest review would be complete without the inflatable air bag type included. The Hit-Air products are the top of the range option in inflatable vests on the market today. These look like the most user-friendly option as far as wear ability as they don’t inflate until you are actually falling, so most of the time you are wearing a very thin, and not bulky vest, weighing in at less than 1 kg. While these vests are not able to tested and certified using BETA or ATSM standards. The manufacturer reports that the model has been included in independent laboratory testing, which can be accessed here – Independent Laboratory testing. In the report the Advantage model is referred to as H-Model. Rather than try to explain how they work I have included the video here which explains and even shows you one of the vests inflating in a fall. I have chosen to review their newest model, the Advantage, as it seems to have quite a few improvements over the other Hit-Air models, they do offer less expensive versions of the harness type airbag vests in the LV and SV2 models. The new Advantage™ model stays with the “harness type” airbag but includes a new higher speed mechanism which activates the cartridge that inflates the vest in just 0.09 of a second. This vest can be used across the entire range of equestrian disciplines from dressage to trail riding and eventing. The vest inflates in stages with the neck airbag occurring first, followed milliseconds later by the torso (protecting back and chest) and the hip airbag. Obviously prevention of neck injuries, which are one of the most commonly occurring in horse rider falls, is crucial to your protection. The neck airbag on the Advantage model is significantly larger than most other airbag vests providing additional protection. The cartridge and activation mechanism (called the key box) is fully covered to prevent dust and dirt from impacting its operation. The enclosure also provides insulation to deaden the sound of the canister inflating, to minimize further spooking your horse or another riders horse should you be close to them. The hip airbag is concealed inside the vest, making it more comfortable as you don’t have the long duck tail as shown on the other vests which protect your tailbone. Other improvements with the Advantage is the ability to add the optional back protector and waist side cushions. The Advantage Multi-Discipline model (MD) vest can also now be safely used with Western saddles, with the inclusion of a zipper rather than buckles this minimises the risk of getting clothing or buckles caught on the horn. Available in a good range of sizes from 2XS to 5XL, and black as standard colour but red, royal blue and navy blue available at an additional cost. Overall this is a sleek and stylish product and quite an innovation to the world of equestrian body protection. By far the lightest and most comfortable of all the vests reviewed the Hit-Air will also provide a level of protection in the event of a fall. Hit-Air vests are also used by motorcyclists, another high impact pass time, which can result in substantial injuries. While this is the most expensive of all the vests we have showcased, if you are after protection you will hardly know you are wearing and that is elegant and unobtrusive this is the product for you. Tipperary have been making protective vests for over 30 years and are perhaps considered the leaders in this field. They claim to have been the first company to develop the protective vest and their parent company Phoenix Performance produces vests used extensively by bronco and bull riders around the rodeo circuit in the US. The company proudly claim that all they have a vest to suit all equestrians from Pony Club to Olympians. The Adult Eventer Pro is their top of the range protective vest. They have trademarked their design called the Flex-Pad design which is lightweight and allows for the vest to contour to your body, making it much more comfortable and less restrictive than many others. Tectonic foam plating provides the protection by not separating or gaping but will move and flex with the rider for increased freedom of movement. Darts and the front and back of the vest also allow for increased range of rider movement. You won’t be restricted in this vest. This vest is probably one of the coolest vests on the market, so if you live in a warm climate or your sport is particularly strenuous this is definitely the vest to consider. The micro mesh inner lining and vented padding helps the vest to breath without compromising protection. As with most of the modern vest it has a zippered front making getting it on and off quite easy. The laced sides provide a way to custom fit the vest and provide heaps of adjustment to achieved a snug fit which is essential to achieving the protection you want. The front of the vest is scalloped allowing for more forward movement and less restriction, crucial for eventing and showjumping. The rear of the vest is longer providing padding over the tail bone should you be involved in an unplanned dismount. The vest comes in a great range of colours – Black, Navy Blue, Hunter Green, Royal Blue and Pink (limited edition). The laces are matched to the colour of the vest, you can buy customer Eventer Laces in a variety of colours from red, blue, teal, purple and of course black. My only note to this is to ensure you only buy the Tipperary custom laces as you may be compromising safety by buying an inferior set of laces otherwise. 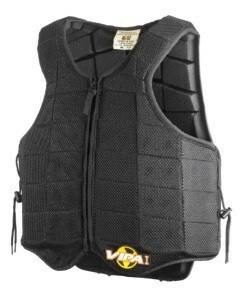 This vest is true to size, but fit is an important factor in the overall protection offered by any vest. Tipperary produced an excellent video which is worth watching should you be considering one of their vests. Overall this is a solid protective vest, that should stand the test of time. All customer reviews indicate it fits well, warms and contours to your body to enable a free-range of rider movement and doesn’t ride up even with the extended tail flat. Good range of colours to choose from, if that is a requirement and the certification is a big plus in my book. As indicated above Phoenix Performance are the parent company to Tipperary Equestrian. The company claims to have pioneered the first rodeo vest, and they are certainly servicing the rodeo world across many countries with personal protective equipment for riders. Their focus is on the rodeo rider as an elite athlete and their products are built to ensure comfort, functional fit and maximum mobility as you would expect if you were riding 1000kg of bucking bull. The Competitor II is their mid range protective vest. Often called the Competitor II Racing Vest because this vest conforms to the Racing Standard for use by jockey. A vest called The Finalist comes in at the very top of the Phoenix range and with a hefty price tag of $570 AUD. Mind you if you were competing in the rodeo circuit you might want a neck roll to reduce your risk of neck and head injuries. I am assuming none of you are riding a bucking bronco (at least not on a regular basis) so we will review the Competitor II. Built for athletes this vest is a super lightweight option. The safety factor is still there with ASTM F2681 certification but this lighter weight is achieved by using a density foam which will still provide ample protection for routine riding. I would however chose a vest with Certification ASTM F1937-04 if you are an eventer, hunter or undertaking other high impact sports. This vest is more suited to trail riding, or disciplines where speed is reduced and falls from jumping heights are less likely. This vest comes in two lengths for a superior fit. The Short version has a higher cut front (as pictured) and provides the most room in any protective vest on the market, providing no restriction to hip angles and movement making it an ideal general riding vest. The Long has a lengthened front (2 inches additional) providing increased coverage and protection for the rib cage and stomach but obviously you are then compromising on the freedom of lower body movement. Additional foam pieces have been added to provide protection to the shoulders in the event of a fall, this has also softened the shoulder straps to increase comfort. This hasn’t reduced shoulder mobility as the vest has been cut to allow full rotational arm movement. Elasticised sides provide the required firm fit, to prevent the vest from moving particularly in the event of fall. The reduced cut makes for better ventilation all round, but as indicated above some additional protection of the ribs and stomach are the compromise for this added cooling and ventilation. In very high temperatures this would be one of the vests to consider if you are not competing in eventing, showjumping or hunting. Stock colour is black micro mesh, but if you are willing to pay additional for colour you can purchase a customised vest. The only difference is the colour choice, so personally I would keep my coins in my pocket, you are buying safety not colour. I love this vest for dressage, flat work and arena work, and some light trail riding. It is very lightweight, and whilst you may not have the supreme protection of the Tipperary Eventer Pro you do have increased movement and ventilation. Not a competition vest, I think for the price and for most everyday riding this is an excellent choice. Velocity Impact Protection Apparel (VIPA) are a company specialising in protective equipment across a range of equestrian sports and the racing industry. The brain child of Greg Childs, a world-class jockey who had a stellar career in Australia winning 2 Cox Plates and 2 Caulfield Cups amongst many other major wins across a 31 years racing career. Greg’s years of racing and speaking with other jockeys and riders has enabled him to produce a range of vests that are less bulky and stiff than many available today. The VIPA I Body Protector has been designed to suit the body shape of both male and female riders. This has often been overlooked in the larger bulkier vests which tend not to conform to the riders shape. Using state of the art EPP shock absorbing foam the vests are lightweight and suitable for the most petite of riders or jockeys looking to make weight. The VIPA Body Protector Level 1 is another vest which is suitable for everyday riding, and is worthy of note due to the lightness of the vest, making it a very comfortable option. Level 1 has been endorsed by the horse racing industry so do not be concerned that it isn’t the highest level protection available in a vest, if it’s safe for jockeys I’d be confident to say it is suitable for the general riding that most of us do. This vest has been endorsed by the Australian Racing Board. From Tough-1 Western Outerwear this is the only vest I will feature which does not have a certification rating. I am including it in my best of review because some protection is better than none, and the price is right if this is the biggest factor stopping you wearing a body protector. The protection offered by the Tough-1 Bodyguard comes from the urethane foam, whilst it will not provide the protection of tectonic or EPP foam, urethane is still a high-impact, shock absorbing foam. The cut of the vest offers torso protection but does not carry down to the lower waist. The outer fabric is a heavy-duty 100% polyester fabric, and the lining is nylon. Easy to keep clean the external panels are not overly contoured and a quick wipe will keep this vest looking good for a few years. There is good range to achieve an almost custom fit through the adjustable shoulders and off set “quick grip” velcro closures on each side. Once you have a good fit, the zippered front means no more messing around with the side tabs. One added extra is the additional protection for your spine through the 4″ solid strip which runs from neck to tailbone. One pocket is also provided which is nice for storing carrots or maybe you mobile phone. As stated above I would prefer you all had certified protective vests, but I understand paying upwards of $300 – $700 for something you are hopefully not going to use (eg. not fall and injure yourselves) is not possible for everyone. As an interim measure this vest will provide some protection, it may even be enough but as it isn’t certified you just don’t know. Until you can afford one of the other brands the Tough-1 Bodyguard is the best available option in the under $100 range. A quality British company Racesafe have over 40 years of experience and development in the equestrian safety realm. All protectors are made in the UK at their Northamptonshire factory and all are BETA certified. The most recent innovation in the Racesafe product range, the PROVENT 3.0, reaches new heights to provide a lightweight, flexible & breathable protective vest with BETA Level 3 protection. Focused heavily on rider freedom of movement and comfort without sacrificing protection, the new offering is ultra-lightweight for a Level 3 vest which is achieved by using foam combinations and racing technology. By introducing independently hinged sections the vest provides comfort and freedom of movement without sacrificing safety. Generally the Level 3 vests are heavier and more cumbersome than the vests offering less protection, Racesafe have gone a long way to changing this with the Provent 3.0. This vest also comes in a huge size range to ensure a superior fit, which is crucial to providing the safety you require. Coming in short, regular or long as well as Small to X Large sizings, as well as elasticised flexible self-adjustments on the vest itself you can ensure a perfect fit. This is a mid priced Level 3 vest. If you need maximum protection for your sports this vest will provide it and in comfort. While there are other Level 3 vests at a cheaper price there is often some compromise in increased weight and comfort when going for the less expensive options. I recommend this vest particular if you are in the UK, as shipping and the conversion rate to Australian dollars does make this a more expensive option than others available. While this is not a body protector I just had to include it because it looked so stylish, and I am a big fan of Charlotte Dujardin. This vest is a reflective safety vest to increase visibility in poor conditions or low light, not to provide protection in the event of a fall. Equisafety call it a waistcoat and state that it “will stop people and horses in their tracks with its stunning and ergonomic design.” It definitely has an elegant silhouette and provides some shape to what can sometimes look like your wearing a sack when in high viz. The material is waterproof, lightweight and breathable with a two-way front zip, two hidden side pockets, and two open back vents. The vest is machine washable so easy to just chuck in the wash when it gets a little grubby. Comes in sizes S (Size 8) up to X-Lrg (Size 18), and in pink, red-orange and also yellow. I absolutely love vests, they keep you warm but still allow you to use your arms without restriction and I just love the look of this one, so much so that I am seriously considering putting one on order for myself. In conclusion we think each of these vests has merit which is why they have been included in the best horse riding protective vests of 2019 line up. My preference is for a vest which meets the standards, but I have included two which are either good value for money and something is better than nothing (Tough-1) or simply too good to leave out but unable to be traditionally certified (Hit-Air). For body protection as with helmets, it is always safest to get the best quality you can afford. You can check out my Top 6 Helmets for 2019 if you are also in the market for one of those. When it comes to body protection you do need to keep in mind the level of sport and the potential impact you may face. There is no need to purchase a Level 3 protective vest if you are trail riding and you feel a Level 1 vest at a cheaper price would do. Having said that if you can afford a Level 3 you will be using the best safety vest you can. I am not going to pick a Top 2 this time round. I think there is enough scope in the line-up that hopefully there will be something there for everyone. If you feel like we have missed a really great vest please leave a note in the comment box below and we will check it out for inclusion. To receive the EN 13158:2009 certification vests they must have actually achieved a set standard which has been independently tested. This is a European standard but used to denote compliance on many vests world-wide. This testing includes protective coverage, how well the vest remains in place under force, ergonomics and most importantly impact resistance. Protectors which have been assessed are given a rating of Impact Level 1, 2 or 3. Level 1 provides the lowest level of protection and is recommended only for horse racing. Levels 2 & 3 are suggested as suitable for general riding use through to high impact sports such as eventing. Changes to the standard have meant an increase in protective coverage as well as changes in the areas where a reduction in the thickness of the foam is acceptable. The BETA 2009 Body Protector Standard was developed in collaboration with doctors, riders, veterinarians, retailers and vest manufacturers and is widely acknowledged as providing a high standard of testing and certification. BETA testing does include annual re-testing on certified vests to ensure continued compliance. As with EN 13158 tests are independently carried out through approved laboratories and include shock absorption, requirements for total body area to be covered and as well as inspection of the protective foam panels used. This standard also includes three levels of compliance which is indicated by the colour coded label for each vest. The same levels are used as the EN Standard to indicate suitable use and protection for each level. “Level 1 (black label) provides the lowest level of protection that is only considered appropriate for licensed jockeys while racing. ASTM F1937-04 is the American certification standard, the inclusion of SEI Certification means that the vest has again been laboratory tested for compliance. The American testing while slightly different to the UK is marginal in the end results and purchasing a ASTM/SEI F1937-04 certified vest will give you the assurance that the vest has indeed been tested. There is a secondary American rating specifically for horse racing – ASTM F2681. Vests with this rating still reach a standard and if showing the SEI certification have been independently tested. I have included one or two in the top 6 because they still afford excellent protection, although perhaps less superior to the first three standards. My Horse Handbook has an affiliate relationship with some, not all, of the companies and products that appear on this site, this may include Amazon affiliate links. This means there is no additional cost to you and I receive a small commission should you buy from the link, which of course I appreciate very much. Believe me I know horses can be expensive, I have two of my own, so please do not buy anything you do not need or can’t afford. 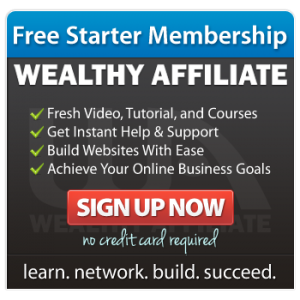 I provide the links so you can easily find products or seek any additional information you may need. Wow I had no idea of such accessories for horse riding. I just thought you get on to the horse with riding boots and helmet and that’s it. So this is really useful information for rider protection. Great site and niche. Great in-depth reviews of the difference types of vests and the strengths of each one. Love the video. Seeing is believing!! Hi Dwyan I loved the fact the guy in the video was prepared to fall off his horse to show us how well the vest worked. That’s dedication for you. While the vests are certainly not a mandatory safety requirement like helmets and boots for me, they certainly do provide an added level of protection and most high impact competition sports do require them eg. cross country. I’m sure if you talk to someone whos broken a couple of ribs coming off a horse, they would recommend a body protection vest for every rider. This is a great review of the body protectors available. Question: I was looking at the inflatable protector and like you said its unrated but independently verified. How reliable is the independent verification? Its expensive so I’m assuming the product must be quality but protection wise, is it worth the risk? thanks! Hi Vivek – the Japan Automobile Research Institute (JARI) who undertook the testing as an independent, a public-interest organization with nothing to benefit by falsifying its claims so I think the Hit-Air Vest is definitely as promoted. It is on top of my wishlist, but as you say it’s at the top end of the price range available. We have extremes of hot weather where I live and I could imagine this would be the very best safety option in 40C heat.